Discover your 'True North' in this story of healing, of miracles, and of finding a calling in God's plan for your life. Whilst driving home from the event, Suzanne's heavily pregnant daughter-in-law Jessica begins having contractions. Alone, and far away from anyone else, help finally comes from the most unexpected of sources: Eli, a troubled young man with dreadlocks, who sees a lone, stranded car and decides to steal it. In one miraculous moment, the directionless lives of Eli, Suzanne, Jessica, and her husband David, are all brought into collision with each other. Together, through pain and personal struggle, they will discover not only how much they will come to need each other, but that God has a plan for each of their lives. God's Compass DVD by Provident was published by Authentic in July 2016 and is our 13345th best seller. 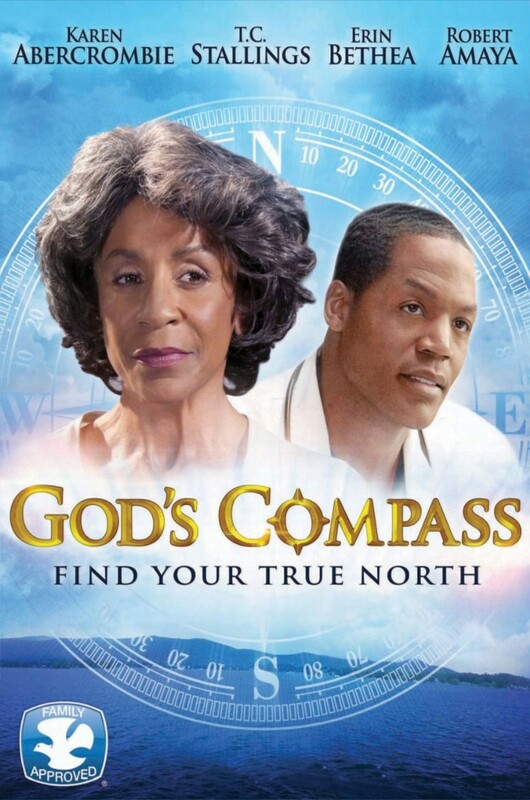 The ISBN for God's Compass DVD is 5060424955725. Be the first to review God's Compass DVD! Take a peek at some articles related to God's Compass DVD. Got a question? No problem! Just click here to ask us about God's Compass DVD. A:Whilst the BBFC have yet to issue an age certification for God's Compass, the Christian film group The Dove Foundation gave this film a 12+ rating. This is for mild violence and some dramatic situations (I won't go into further detail, as that would spoil the film). Thank you for using the Q&A Forum. Suzanne Waters has just retired as the principal of the local high school. Having spent a lifetime teaching life lessons, the journey into retirement is about to bring her one of her greatest lessons. Her lesson plan will come from a troubled young man, Eli, as she invests in his life. Suzanne also becomes a first-time grandmother, and the new life of the baby brings renewed hope to the family as each member discovers their core value in God's path for their lives. As Suzanne reflects back on her life of faithfulness, we are reminded that there are no accidents in God's Kingdom, no chance meetings, and no purposeless steps taken.